I shall write no more to-day. If so lady-like a person as I am could feel a tigerish tingling all over her to the very tips of her fingers, I should suspect myself of being in that condition at the present moment. But, with my manners and accomplishments, the thing is, of course, out of the question. We all know that a lady has no passions. Armadale is a long, convoluted, but ultimately very rewarding novel about fate and portents versus free-will and coincidences; about the intimate friendship between two young men who happen to have the same name; and about the consequences of women’s lack of legal and economic recourse in Victorian society. It’s quite a challenge to attempt to summarise the plot of Armadale without giving too much away, because even things that help set up the premise are sources of suspense for the first two-hundred pages or so – Collins takes his sweet time getting the story started. However, I shall to my best. The first section of the novel tells the story of the first generation of Alan Armadale (yes, there are different characters by that same name, but it’s far less confusing than it might sound). Something happens between them that motivates the surviving Armadale, then on his deathbed, to dictate a letter to his toddler son begging him to stay away from his nemesis’ son, who happens to be his namesake just like in the first generation. Fast-forward twenty years, and of course that despite all these warnings the two men’s sons become intimate friends. However, the shadow of what happened in their parents’ time haunts them. Things become even more complicated when Lydia Gwilt, who worked as a maid for Mrs Armadale, enters the scene. Miss Gwilt is introduced as a menacing character from the very beginning, but as Armadale progresses and her backstory is unveiled, it becomes clear that she’s a character who challenges dominant assumptions about Victorian women. 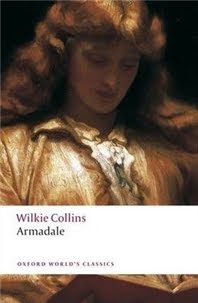 Armadale is a novel that rewards patience: I’ve come to expect Wilkie Collins’ verbosity, but even then I flew through novels like The Moonstone, The Woman in White and No Name in very little time. Armadale demanded more of an initial investment on my part, but that investment absolutely pays by the end. The first section of the novel emphasises a theme of fate, portents and choice. It stars off rather like a Greek tragedy, only it gives its characters a chance of escape in the end. Collins’ subversion of the idea of doom was pretty interesting, but none of that grabbed me anywhere near as much as Lydia Gwilt’s story. I was won over when we were given access to her voice through excerpts of her letters and diary and she was allowed to emerge as a conflicted, multi-dimensional character. I was extremely impressed with the way Collins moved her from the background to the foreground and had her completely steal the show. The novel may be called Armadale rather than Gwilt, but it’s her story more than anyone else’s. Even the characters who strongly disapprove of Armadale’s heroine recognise her talents and intelligence, but also how little those talents will amount to in a society that closes down all possibilities for women and has them live under “the established tyranny of the principle that all human happiness begins and ends at home”. Triumph! It is more than triumph—it is the salvation of me. A name that can’t be assailed, a station that can’t be assailed, to hide myself in from my past life! Comfort, luxury, wealth! An income of twelve hundred a year secured to me secured by a will which has been looked at by a lawyer: secured independently of anything Armadale can say or do himself! I never had twelve hundred a year. At my luckiest time, I never had half as much, really my own. What have I got now? Just five pounds left in the world—and the prospect next week of a debtor’s prison. Since I brought up Mary Elizabeth Braddon, I can’t help but to note that she’s always a little more daring than Collins, especially regarding her endings. Wilkie Collin keeps up appearances by getting rid of the disturbances a character like Lydia Gwilt causes in the usual fashion wherever disruptive women are concerned. If you’ve read enough Victorian novels, you can probably tell where this is going. So yes, the ending was unsurprising but still disappointing; but oh, the possibilities the middle raises! I see Collins’ endings as a way to pay lip-service to the status quo more than anything else; perhaps even as a way to make the story just safe enough that people would engage with it without discounting it altogether. I can’t resist borrowing a sentence from Iris’ review of The Moonstone from yesterday: “In the words of John Sutherland, who wrote the introduction to my edition, ‘Collins is adept at raising subversive thoughts in the reader only to leave them ambiguously hanging’”. While that can be occasionally frustrating, it’s interesting to think of it as a strategic decision to get those subversive thoughts in by the backdoor. Armadale may follow the traditional structure of having the “bad” woman punished at the end, but there are hints all over the text suggesting that the narrator’s sympathy is very much with Lydia Gwilt. My reading of Armadale was enriched by a happy coincidence: I read it alongside Ruth Braddon’s Other People’s Daughters, a non-fiction book about governesses in Victorian England. Lydia Gwilt takes up a position as a governess to gain entry to Alan Armadale’s social circle: her success at forging a reference, her beauty, her uncertain social origins, and her designs on the neighbourhood’s eligible bachelor make her an embodiment of all the most common fears and social tensions surrounding the appointment of governesses. But even as he explores those tensions for dramatic effect, Collins also does an excellent job of illustrating the hopelessness and vulnerability of a woman in such a position. I really want to try one of Collins books but I'm not sure I have the patience for this one right now. Yes, patience is a requirement, especially for the first half. Maybe try The Woman in White? It's long too, but it grabs you right away and reads like a book half its length. I've been meaning to read No Name and Armadale for so long now and even downloaded them onto my e-reader but since I never actually use it... I really loved Collins' The Moonstone and The Woman in White so I'm sure it'll be as fascinating. I also have Lady Audley's Secret which I'm dying to read. And Other People's Daughters sounds very interesting too! Agh, you've reminded me of too many things I need to read! I just picked up The Moonstone and was thinking that I'd like to try and read all of Wilkie's work. I recently read an article where JK Rowling stated that Armadale was one of the only books she just couldn't finish so I was wondering if it was really terrible (having not heard much about it prior). Your review leads me to believe that I should still give it a go and attempt to push through the slow pacing at the start. I have picked up and put down this book - well my nook - so many times. Someday I will have, as you say, the patience to read it. Sakura: Read No Name first! I mean, I enjoyed this a lot but No Name was just stunning. Beth: I completely understand being frustrated at first. It took me weeks to get through that initial section and at times I wondered if this would be the first Wilkie Collins novel I wouldn't be able to get into. But once I got to the section from Lydia Gwilt's point of view I couldn't put it down, and in the end my faith in him was more than restored. Trisha: It's well worth the effort, but timing is all. I keep being surprised by new Collins books I hadn't heard of yet. I knew about Woman, Moonstone and No Name, but hadn't heard of this one yet! As you said to me recently--isn't it great when the books you're reading complement each other unexpectedly? I once found myself reading two books with main characters named Stanislaus--one was a nun. Now I really want to read the governess book, too! I've only read The Moonstone, but I know exactly what you are saying here. There is so much propriety in his writing, so period, but there is a whole undercurrent that he isn't saying but implying. I've had The Woman in White on my Kindle for years and one day will get to it. I loved this book and can never decide whether this one or The Woman in White is my favourite Collins novel. Lydia Gwilt is a great character, isn't she? I agree that she stole the show with her letters and diary entries! I'm happy to know that Armadale is slow to start, because I did start it one other time and wasn't able to get anywhere with it. But okay! If all that stands between me and an awesome Wilkie Collins lady, I can totally push on through. Do you think Collins was a feminist, then? I loved The Woman in White, but I haven't gotten around to reading anything else by Wilkie Collins. It's good to know that it starts out slowly, but is worth the patience in reading through. I'll add this one to my list, but I'll probably read The Moonstone first. I love what you said about this novel rewarding patience. I have been wanting to read some novels by Wilkie Collins, but I think I'll start with The Woman In White. This is my absolute favourite Collins! I love, love, love Lydia Gwilt. She is such a fantastic creation. You know the fad these days for creating tv series of one name, like "Sherlock"... well, I think a fabulous tv show about a beautiful, red-haired criminal mastermind who gets revenge for women who've been treated unfairly in society could be called "GWILT!" I am embarrassed to admit that I have yet to read Collins, even though I have The Woman in White on my shelves and I keep telling myself "I'm going to read that one next!" I must stop procrastinating. Melissa: I was going through his bibliography on Wikipedia the other day and I was surprised there were so many books I hadn't heard of at all. Thankfully they're easy to find via Gutenberg and the like. I'm hoping to read one a year and slowly but surely get through them all. Sandy: Yes, yes, exactly! The way you worded it is perfect. Helen: Yes she is! I love how she progresses from a vague threat to a fully complicated character. JoAnn: I liked No Name more, but both are well worth it! Alex: The Woman in White is excellent too - you're in for a treat! Jenny: I definitely understand not being able to get anywhere with it, as the first 200 pages are pretty frustrating. But! Lydia Gwilt! She makes it all worth it. Tasha: Complicated question! Certainly not in the modern sense of the term - I wouldn't even apply it to, say, John Stuart Mill. But as I read through his books, I keep noticing that women's lack of legal rights (particularly divorce laws and property laws) were a huge concern of his, and that he was committed to exploring the consequences of this kind of injustice in his fiction. But of course, in many ways he was a "typical" Victorian man, so the progressive streak in his work coexists with some very frustrating attitudes towards gender. It would be possible to make an equally compelling case for why his fiction is anti-feminist. Personally I find those contradictions really interesting, though. Kristi: The Moonstone was my second Collins too and it was a great choice. Melanie: Hahaha, yes! I would be all over that series. Natalie: Funny how we all keep doing that with various books, isn't it? 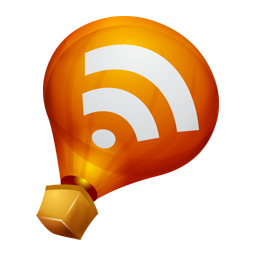 Did you read East Lynne when Simon Savidge had the read-along a couple of years ago? It reminded me of this one in ways but it's another long one! Kristen M: I haven't read East Lynne yet, but I really want to! And I can see how being used to the rhythm of this kind of story can make a difference. It had been a long while since I'd last read a sensation novel, so I had to ease myself in. I think this is my favorite Collins novel. I cannot wait to revisit it. I'm so glad you enjoyed it.